· If you’re a writer who would like to make more money or if you’re struggling to get enough work, you must read Pro Blogger’s suggestions for making 2x more money as a writer. Priceless! · It looks like Facebook is at it again! The Daily Dot shared that Facebook will again be rolling out algorithm changes. · I never would have imagined that traveling as part of a group travel tour would have been a good idea, but Mom Advice has convinced me (and made me so want to take a trip to Italy!). · If you’re still looking for good summer reads, you can’t go wrong with Modern Mrs. Darcy’s summer reading guide, organized by genre. Thank you! · The Penny Hoarder shares how one writer makes an extra $1,500 every month as a SEO content writer. · Don’t waste time and money going out to eat. Instead, create a restaurant-quality meal at home with The Kitchn’s Spicy Glass Noodles with Crispy Pork. Yum! · If you’re near Rogers, Arkansas, you may want to check out the Daisy Airgun Museum as Lille Punkin’ and her family did recently. Looks like fun! 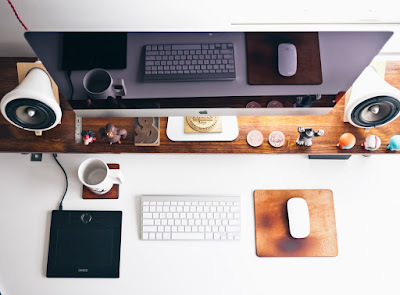 · How many of these pro blogger tools that The Work at Home Wife uses do you use? I think there are a few I need to sign up for! · I would have never thought to have served BBQ chicken and veggies over spaghetti, but $5 Dinners did, so now I have to try the recipe! · You can’t be too careful when working online. Wise Bread offers six ways to increase your cyber security.